Charges of racially aggravated conduct against five members of the Scottish Palestine Solidarity Campaign have been thrown out by a Sheriff. Around 60 of their supporters burst into applause when Sheriff James Scott delivered his judgement at Edinburgh Sheriff Court today. 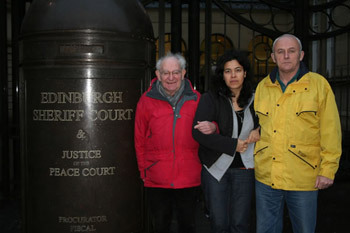 Michael Napier, 63; Sofia Macleod, 39; Vanesa Fuertes, 35; Kevin Connor, 40; and Neil Forbes, 55, all of Edinburgh, were charged with having pursued a racially aggravated course of conduct which amounted to harassment of members of the Jerusalem String Quarter as they performed at the International Festival on 29 August, 2008, at Queen's Hall in Edinburgh. It was alleged that, while acting together, on five separate occasions, they shouted at the players, made comments about the State of Israel which evinced malice towards them based on their membership or supposed membership of an ethnic group or nationality, disrupted the concert and struggled with security and other staff. Two alternative charges accused them of acting in a racially aggravated manner, causing or intending to cause the members of the quartet alarm and distress. The Sheriff stated that the protesters comments had been clearly directed at the State of Israel and Israeli Army. Sheriff Scott added that if persons on a public march designed to protest against and publicise alleged crimes committed by a state and its army were afraid to name that state for fear of being charged with racially aggravated behaviour it would render their rights under the Convention worthless. Their placards, he said, would have to read "Genocide in an unspecified part of the Middle East", "Boycott an unspecified state in the Middle East". He said that the prosecution was unnecessary and, having concluded it was not necessary or proportionate and therefore incompetent it had to be dismissed. The case had been continued without plea on a number of occasions. During legal debate earlier this year, counsel for the accused challenged the relevancy of the charges and claimed that under the European Convention of Human Rights the prosecution represented an unnecessary, illegitimate and disproportionate interference with their freedom of expression, speech and peaceful political protest. The Crown held that the charges were relevant and that the accused's rights under the Convention were "not unfettered" as the rights of one person might impinge of the rights of another. It was alleged that during the concert there were shouts of "They are Israeli Army musicians", "Genocide in Gaza", "End Genocide in Gaza" and "Boycott Israel". Sheriff Scott said it was clear the accused were engaged in political protest against the Israeli State and an organ of that state, the Israeli Army, concerning crimes allegedly committed by the Israeli State and its army in Gaza. The Crown, he said, claimed the accused were acting in concert on five separate occasions. He was unable, he said, to infer the five had been acting in concert and held that the disruptions had been carried out by the five individually in just under an hour during the same performance. Continuation of the prosecution was therefore not proportionate. The Sheriff also stated that the protesters comments had been clearly directed at the State of Israel and Israeli Army. The State of Israel was not a person and the members of the quartet were not targeted as presumed citizens of Israel, but as presumed members of the Israeli Army. "It seemed to me," he said "that the procurator fiscal's attempts to squeeze malice and ill will were rather strained". He said that the prosecution in its present form was unnecessary and, having concluded it was not necessary or proportionate and therefore incompetent it had to be dismissed. He discharged the complaint simpliciter. Fiscal Depute, Graham Fraser announced that The Crown would be appealing the decision. A sheriff has ruled that criticism of Israel is not anti-Semitism after Palestinian protesters disrupted a recital of the Jerusalem String Quartet in Edinburgh. The sheriff could have hidden behind generalities but today in court we discussed the state of Israel specifically and the sheriff ruled in open court that it is perfectly legitimate to criticise the crimes of the state of Israel and that does not in any way constitute racism of any kind. It is a constant, never-ending attempt by those who support the state of Israel to name those who support the Palestinians as anti-Semites. It never ends. Well it ended today and we will not be intimidated by this smear in the future. Prosecutors had claimed that the actions of five members of the Scottish Palestine Solidarity Campaign were racially aggravated when they interrupted the performance. 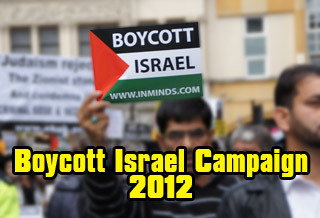 They had cried out “they are Israeli army musicians ... end genocide in Gaza ... boycott Israel”. However, throwing out the charges yesterday, Sheriff James Scott said human rights legislation would be worthless if people on a public march “designed to protest against a state and its army” were afraid to name the state for fear of being charged with racially aggravated behaviour. Human rights campaigners have welcomed the ruling, saying the prosecutions had threatened freedom of speech. Mick Napier, 63; Sofia Macleod, 39; Vanessa Fuertes, 35; Kevin Connor, 40; and Neil Forbes, 55, all from Edinburgh, were originally charged with breach of the peace on August 28, 2008, in the Queen’s Hall. The Crown deserted the original case, but charged the five with racially aggravated conduct. Mr Napier said: “The sheriff could have hidden behind generalities but today in court we discussed the state of Israel specifically and the sheriff ruled in open court that it is perfectly legitimate to criticise the crimes of the state of Israel and that does not in any way constitute racism of any kind. 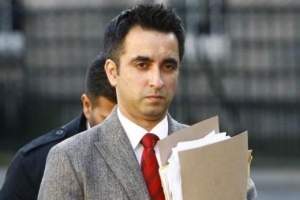 Representing the accused, Aamer Anwar said the judgment “impacts on civil liberties in Scotland”. He said if he was part of the audience he would have been very upset at the outcome. John Scott, a lawyer who specialises in human rights cases, said the case raised questions over the interpretation of racial aggravation laws. As long as the ethnic cleansing of Palestine continues, Israel's political, cultural, and sporting ambassadors will face boycott protest similar to that faced by the racist apartheid South African regime in the last century. Protesters who disrupted a concert by an Israeli string quartet in Edinburgh have had charges of racially aggravated conduct thrown out by a court. The five members of the Scottish Palestine Solidarity Campaign shouted slogans during the performance by the Jerusalem String Quartet. But a sheriff said the comments had been directed at the state of Israel rather than individual Israeli people. He ruled the case against the accused was not competent and dismissed it. About 60 supporters of the five accused burst into applause when Sheriff James Scott delivered his judgement at Edinburgh Sheriff Court. The Crown had brought the charges against Michael Napier, 63, Sofia Macleod, 39, Vanesa Fuertes, 35, Kevin Connor, 40, and Neil Forbes, 55, all from Edinburgh. It was alleged that on 29 August 2008 at Queen's Hall in Edinburgh they had pursued a racially aggravated course of conduct amounting to harassment of the string quartet, which was performing at the city's International Festival. The prosecution claimed that by shouting slogans including "they are Israeli army musicians", "genocide in Gaza", "end genocide in Gaza" and "boycott Israel" the accused had made comments which evinced malice towards the musicians based on their membership of an ethnic group or nationality. They were also alleged to have disrupted the concert and struggled with security staff. Two alternative charges accused them of acting in a racially aggravated manner, and causing or intending to cause the members of the quartet alarm and distress. Sheriff Scott said it was clear the accused were engaged in political protest against the Israeli state and an organ of that state, the Israeli army, concerning crimes allegedly committed by the Israeli state and its army in Gaza. But he said the prosecution had failed to show the five accused had acted together, which made the prosecution disproportionate, and also stated that the comments made during the performance had been clearly directed at the state of Israel and Israeli army. The state of Israel was not a person and the members of the quartet were not targeted as presumed citizens of Israel, but as presumed members of the Israeli army, he added. He said: "It seemed to me that the procurator fiscal's attempts to squeeze malice and ill will were rather strained". The sheriff also said that the right to protest would be worthless if protestors were afraid of being charged with racially aggravated behaviour for naming a state they believed had committed crimes. Their placards, the sheriff said, would need to read "genocide in an unspecified part of the Middle East" and "boycott an unspecified state in the Middle East". He said the prosecution in its present form was unnecessary and, having concluded it was not necessary or proportionate and therefore incompetent, it had to be dismissed. The sheriff discharged the complaint simpliciter. Speaking outside court, Mr Napier - the chairman of the Scottish Palestine Solidarity Campaign - said he and the other four protestors welcomed the sheriff's ruling. "The sheriff could have hidden behind generalities, but today in court we discussed the state of Israel specifically and the sheriff ruled in open court that it is perfectly legitimate to criticise the crimes of the state of Israel and that does not in any way constitute racism of any kind. "It is a constant never-ending attempt by those who support the state of Israel to name those who support the Palestiniains as anti-Semites. It never ends. Well it ended in court today and we will not be intimidated by this smear in the future." Fiscal depute Graham Fraser said the Crown would be appealing the decision. The case had previously been continued without plea on a number of occasions. During legal debate earlier this year, lawyers representing the accused claimed that under the European Convention of Human Rights the prosecution represented an unnecessary, illegitimate and disproportionate interference with their freedom of expression, speech and peaceful political protest. The Crown held that the charges were relevant and that the accused's rights under the convention were "not unfettered" as the rights of one person might impinge of the rights of another. When accused of racism by supporters of Israel’s ethnic cleansing and apartheid, we should enjoy the fight, confident in the knowledge that victory will be ours in the end. Campaigns for human rights are always tested, and our common struggle against the disgusting crimes of the State of Israel will inevitable meet with state repression here at home. We must be grateful - so many of our enemies are arrogant and stupid. The case in Edinburgh today pitted supporters of human rights against prosecutors who strove to put Israel beyond criticism. They failed and have been humiliated on this occasion but they will be back somewhere else to try again. Supporters of Israel - Gordon Brown, for example - need to suppress our democratic rights to defend the indefensible against a rising tide of popular anger at Israel’s crime. We need to work to defend all those who become the victims of state repression for their opposition to Israel’s crimes. In Bordeaux, France, Sakina Arnaud was convicted of a 'racism' related offence in Bordeaux for putting a 'Boycott Israel' sticker on a bottle of orange juice in a supermarket. British Government support for Israel has taken the form of more than 20 prison sentences - some for over 2 years - to those who protested Israel’s massacre of 1400 mostly civilians in Gaza last year. Of the almost eighty charged, all but two are young Muslims. 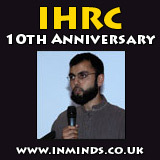 We, non-Muslims and Muslim campaigners for freedom for Palestine, must treat them as hostages seized from our movement whose freedom is our collective responsibility, as we campaign for the brave, enduring and indomitable people of Palestine. The Palestinian campaign for freedom is faced with a monstrous settler-colonial state. Solidarity campaigns face legal repression here, but is has always been so - since the struggle against the sale of African people or opposition to mass murder in Vietnam, Algeria and other places. Solidarity with the people of Palestine in their life and death struggle against pitiless Zionism is the litmus test of our common humanity in the 21st Century. We must use every example of domestic repression aimed against us to widen the circle of those ready to take a stand, the numbers of those who understand that we not only act in solidarity with struggling Palestinians but against those at home who would reduce the freedoms we have been handed down by those, better than us, who won them in the first place. i. First they attack you. ii. You stand your ground. Update: Thursday April 8th 2010: For immediate release. Sheriff James Scott ruled that “the comments were clearly directed at the State of Israel, the Israeli Army, and Israeli Army musicians”, and not targeted at “citizens of Israel” per se. “The procurator fiscal’s attempts to squeeze malice and ill will out of the agreed facts were rather strained”, he said. Mr Fraser, the Procurator Fiscal Depute, said he would be appealing the ruling. 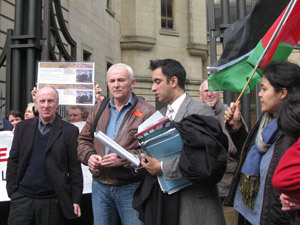 Outside Edinburgh Sheriff Court, supporters held banners reproducing the ‘racist’ slogans, and a number of enlarged concert programs indicating Israeli Embassy sponsorship of the quartet’s tours were on display. Human rights lawyer, Aamer Anwar, representing Mr Napier, read a statement on behalf of his client: “We welcome today's judgment which impacts on civil liberties nationally. A dangerous precedent would be set if demonstrators were criminalised for racism for protesting against state genocide by Israel or any other country." SPSC chair, Mick Napier had mixed feelings about the ruling: “While this particular attempt to criminalise solidarity with Palestine has failed, British Government support for Israel continues. In England, more than 20 prison sentences - some for over 2 years - have been handed out to those who protested Israel’s massacre of 1400 mostly civilians in Gaza last year. On the subject of racism, of the 78 charged, all but two are young Muslims. “If our case had gone to trial, it would have been Israel in the dock, not us. We had a string of witnesses from Palestine, Israel, and South Africa lined up to discuss the real racism and apartheid that Palestinians face daily. As long as the ethnic cleansing of Palestine continues, Israel’s political, cultural, and sporting ambassadors will face boycott protest similar to that faced by the racist apartheid South African regime in the last century. 2. The campaigners interrupted the Aug 29th 2008 Edinburgh Festival performance of the Jerusalem Quartet at Edinburgh’s Queen’s Hall. They were originally charged with Breach of the Peace, but weeks after last year’s violence in Gaza which took the lives of 1400 Palestinians and 13 Israelis, the Procurator Fiscal changed the charge to “racially aggravated conduct”. The campaigners maintained that their criticism was focussed on the State of Israel, and that as the Jerusalem Quartet are sponsored by their state to “promote the policy interests of the State of Israel via culture and art” [contract between the Jerusalem Quartet and Israel’s Foreign Ministry], their concert was a legitimate target for protest. 3. The campaigners challenged the validity of the “racially aggravated conduct” charge in relation to a political protest focused on the State of Israel. The case is still at the pre-trial stage and no plea has been tendered. Judgement on the legal debate was given at 11am on Thursday 8th April 2010 at Edinburgh Sheriff Court. If the challenge had failed, a date would have been set for trial. The Mar 29th 2010 diet had to be transferred to a larger courtroom to accommodate around 100 supporters. 5. Scotland’s First Minister, Alex Salmond called for a review of the UK’s trade relationship with Israel, after it emerged that Israel’s Mossad had forged British passports for use in the assassination of a Palestinian Hamas leader. Speaking on the BBC’s Question Time in Glasgow, 25th March 2010, Alex Salmond told the audience, “you can’t have normal relationships if you believe another country has been involved in what Israel has been involved in”. Salmond said the response “should be more than expelling a diplomat”, which he derided as a “diplomatic dance”, and added, “this has implications for example in trading relationships”. The live BBC Radio 3 broadcast was stopped halfway through her song. Deborah Fink can be contacted on request. John Pilger writes that the case “should be laughed out of court”. The Palestinian Campaign for the Academic and Cultural Boycott of Israel (PACBI) fully endorses the Scottish Palestine Solidarity Campaign's call on the Edinburgh Festival to withdraw its invitation to the Jerusalem Quartet. Members of this Israeli Quartet began their career with active service in the Israeli army, where they served as "Distinguished Musicians," enjoying the sponsorship of mainstream Israeli cultural institutions such as the Jerusalem Foundation, which regards them as "prestigious cultural ambassadors, representing Israel and Jerusalem." 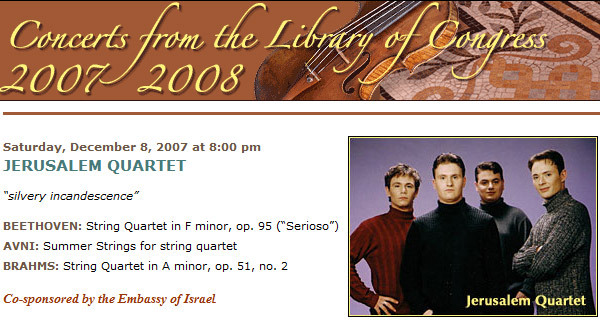 From the beginning, the Quartet's international tours have been actively promoted by the Israeli government. 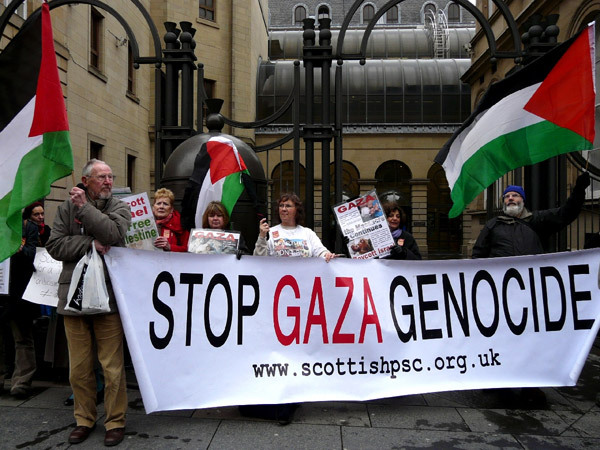 As such, and since the Quartet has not taken any clear position on the various forms of oppression of the Palestinian people, PACBI supports the Scottish PSC's call to boycott the Jerusalem Quartet as an institution that is complicit in maintaining Israel's occupation and oppression of the Palestinian people.